Have you considered using big data analytics for your business or organization? First, dismiss any notion your business isn’t the right scale or size to make use of analytics. No matter the size of your business, the analytical insight available to you is highly valuable and can help your business grow. Second, data analytics isn’t just a collection of information about your organization – it’s actionable, insightful intelligence. Data analytics help you identify opportunities to improve efficiency, productivity, and potential business opportunities. Businesses that use data and business analytics to drive decision-making are typically more productive. Furthermore, they experience higher returns than businesses who don’t use data analytics. Data analytics takes data collected by businesses, categorizes the data, and then identifies and analyzes behavioural information and patterns. Businesses then use the insights from this analysis to improve productivity and business gain. In turn, Big data analytics finds trends, patterns, and useful information from large collections of data. And finally, Predictive analytics is a branch of data analytics that uses current and historical data to make predictions about future behaviours and events. All the information your business collects can provide useful insights into how to better improve your business, products, services, and security. 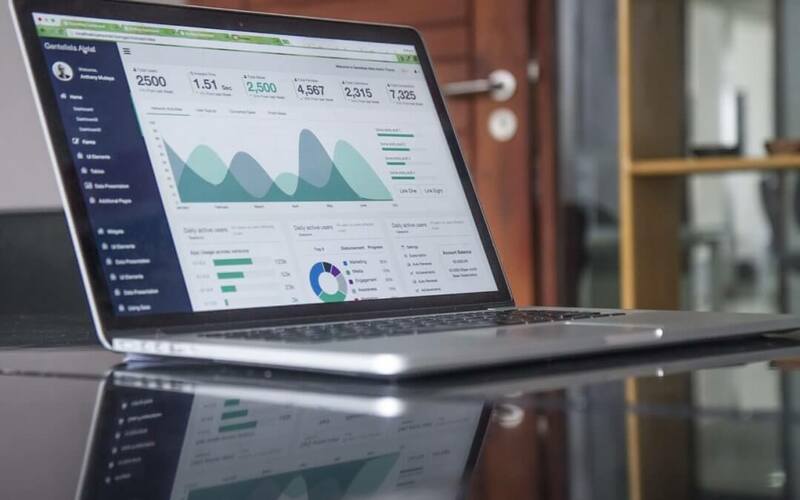 There are many ways to collect internal business and external consumer data, but in order to know what you’re looking for in your data, you must establish a purpose for using data analytics. What are your company’s long-term plans and goals? What would you like to gain from this data? Do you want to learn more about your customers and/or clients? Do you want to improve your data security? Providing exceptional customer service, support, and experience. Once you’ve determined your goals for data collection, it’s time to collect data. RFID chip readings—i.e. stock inventory data. Next, it’s time to analyze the accuracy of the data you’ve collected. It goes without saying that accurate information is absolutely necessary if you plan on taking action with the information you’ve gathered. If it isn’t accurate, it’s time to go back to the drawing board. Reassess and correct – improving your collection methods is vital to accruing actionable intel that works for your organization. Expert data and IT consultants can help you determine optimal means of collecting vital data for your organization and can help prepare and analyze this information on your behalf. is. To successfully use your business data for its insights, expert data analysis is necessary. Whether you hire an in-house team or work with outside consultants, understand that this team will be responsible for combing over every aspect of data collected by your organization. Additionally, your analytics experts should work in close conjunction with the team responsible for your IT infrastructure to ensure quick turnarounds and smooth operations. Once your data analytics team gathers valuable insights from your data, visualization interprets the information in easy-to-understand formats that put insights front-and-centre. This helps everyone on your team understand the data being presented, and in turn provides a better understanding of the decision-making process. Using the valuable knowledge from your data analytics is easier said than done. Developing strategies around the data-based insights you’ve uncovered means closely examining your organization’s goals and efforts towards achieving them. And what’s more, in some cases, obvious opportunities can be actioned quickly, while in others, understanding the “why” behind your data can help you develop a plan of attack to address a challenge or opportunity. For example, using these insights to improve a marketing plan could mean including consumer insights in each step of the decision-making process. Depending on your goals and plans, you can discover opportunities to reduce costs and improve efficiencies and productivity in various areas of your business operations. Understand popular products/services by season, region, etc. to market the right products at the right times and increase sales. The amount of data you collect will only increase with time, offering you even more valuable insights and opportunities for business growth. Data analytics services are an invaluable tool for businesses of all types and sizes. Furthermore, they help improve various business operations and are an effective way to identify potential challenges, opportunities, and more. Data analytics is like taking a magnifying glass to all areas of your business and finding strengths, weaknesses, and opportunities to improve operations, productivity, security, and profits. Are you ready to take a closer look?